Go to original pattern for design DROPS 160-5. 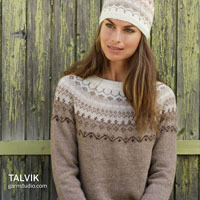 Knitted DROPS jumper in garter st, stockinette st and vent in "Bomull-Lin" or "Paris". 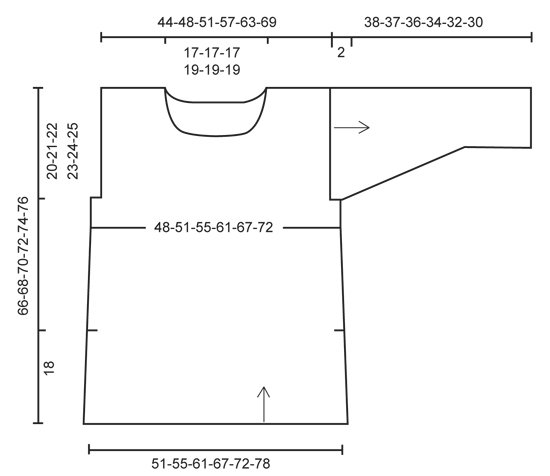 Size: S - XXXL. 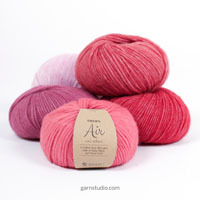 Bust: 96-102-110-122-134-144 cm / 37 3/4"-40"-43½-48"-52 3/4"-56½"
You can get the yarn to make this pattern from	30.00$. Read more. 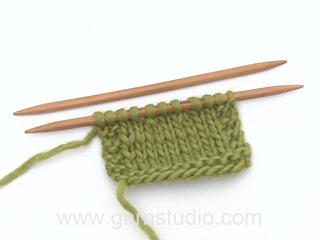 LOOSELY cast on 54-58-64-70-76-82 sts on circular needle size 9 mm / US 13 with 2 strands Bomull-Lin or Paris. Then work ridges in GARTER ST - see explanation above, work only with 1 strand. REMEMBER THE KNITTING GAUGE When piece measures 18 cm / 7'' - READ MEASURING TIP, insert 1 marker in each side of piece (vent beg here). When piece measures 26 cm / 10 1/4'', dec 1 st in each side of piece - READ DECREASE TIP! Repeat dec in each side every 9 cm / 3½'' 1-1-2-2-2-2 more times = 50-54-58-64-70-76 sts. 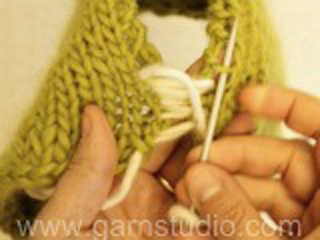 When piece measures 46-47-48-49-50-51 cm / 18''-18½''-19''-19¼''-19¾''-20'', bind off for armholes in each side of piece as follows: bind off 2 sts at the beg of the next 2 rows = 46-50-54-60-66-72 sts. 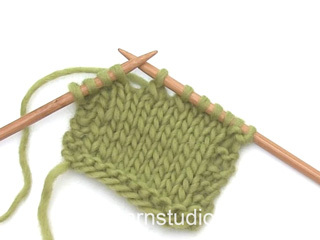 When piece measures 62-64-66-68-70-72 cm / 24 3/8''-25¼''-26''-26¾''-27½''-28 3/8'' - REMEMBER MEASURING TIP, bind off the middle 16-16-16-18-18-18 sts for neck and finish each shoulder separately (= 15-17-19-21-24-27 sts remain on each shoulder). Dec 1 st on next row from RS towards the neck = 14-16-18-20-23-26 sts. 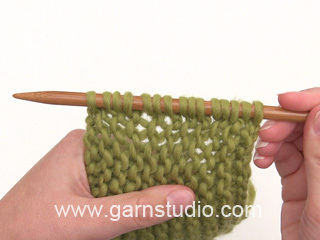 LOOSELY bind off when piece measures 66-68-70-72-74-76 cm / 26''-26¾''-27½''-28 3/8''-29 1/8''-30''. Cast on and work as back piece. When piece measures 56-58-59-61-62-64 cm / 22"-22 3/4"-23 1/4"-24"-24½"-25 1/4", bind off the middle 14-14-14-16-16-16 sts for neck and finish each shoulder separately (= 16-18-20-22-25-28 sts on each shoulder). Then dec at beg of every row from neck as follows: Dec 1 st 2 times = 14-16-18-20-23-26 sts. LOOSELY bind off when piece measures 66-68-70-72-74-76 cm / 26''-26¾''-27½''-28 3/8''-29 1/8''-30''. Sew the sleeve seams inside 1 edge st - NOTE: The 2 cm / 3/4'' worked back and forth before marker at the top of sleeve should fit the bind off for armhole. Sew side seam from armhole down to marker for vent, sew in outer loops of edge sts.